"We reject him [Trump]… we do not accept any racist, supremacist doctrine that they want to impose over us. We are not anybody’s subordinates, much less of the imperialist government of Trump and his representative Pence", Moncada said. "The first point of this discussion, the battle inside the UN, is to defeat the imperialist arrogance of this man [US Vice President Mike Pence]… we clearly established how there is a program for economic destruction… being applied with no pause". Moncada also said that the Trump administration spearheaded by National Security Adviser John Bolton was pressuring other major nations and all international aid financial institutions and humanitarian aid agencies not to work in any way with Venezuela’s legitimate government. “They are threatening every single bank … every humanitarian agency. They are blocking the UN agencies”, he said. Earlier in the day, Moncada told the UN Security Council meeting that the United Nations should address the United States' threats against Venezuela, including its repeated remark that "all options" with respect to Caracas are on the table. Pence during a UN Security Council meeting earlier in the day said the United States would introduce a resolution to recognize opposition leader Juan Guaido as interim president of Venezuela. 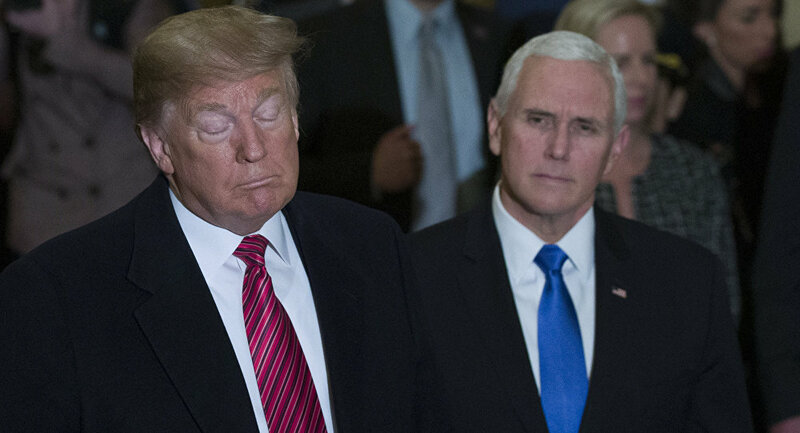 Last week Pence during remarks in Houston announced yet another round of sanctions targeting Venezuela's oil sector and said that President Nicolas Maduro "must go". The United States will soon announce new action against Cuba in response to what it calls Havana's "malign influence" in Venezuela, Pence told the UN Security Council. He added that the United States would provide an additional $60 million in humanitarian assistance to address the ongoing crisis in Venezuela. According to UN Special Rapporteur Idriss Jazairy, US sanctions have exacerbated the country’s acute economic crisis and can lead to starvation and medical shortages. The Trump administration imposed several rounds of crippling sanctions against Venezuela after US-backed opposition leader Juan Guaido illegally declared himself interim president in late January. In addition, after immediately recognizing Guaido, Washington seized billions of dollars’ worth of Venezuelan oil assets. Venezuela President Nicolas Maduro has accused the United States of trying to orchestrate a coup in order to install Guaido as a US puppet so Washington can take control of Venezuela’s oil resources. Russia, China, Cuba, Bolivia, Turkey and a number of other countries have voiced their support for constitutionally elected Maduro as the only legitimate president of Venezuela.